Every two years, woodworking and furniture specialists from around the world go to Germany to attend the most important trade fairs for their industry: Interzum in Cologne and LIGNA in Hannover (Germany). The two fairs are staged in quick succession so that international visitors can attend both in a single trip, buying only one ticket. 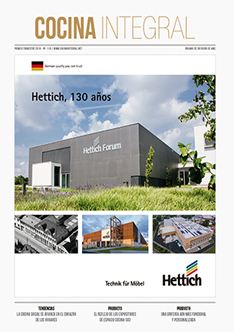 21.03.2109 Together, Interzum and LIGNA will once again provide a comprehensive overview of the materials, design solutions and innovative technologies for the woodworking, wood processing and furniture industries. The two fair are the world’s foremost trade fairs in their respective sectors. They both cover a very broad spectrum of exhibition topics, ranging from wood as a renewable material to efficient woodworking and processing technology to components for the furniture and interior finishing sectors. For visitors from abroad, the timing of the two fairs is ideal as it enables them to take in both events in a single trip – which is eminently feasible, given that the host cities, Cologne and Hannover, are only 300 kilometres apart by car and only two and a half hours by high speed train. 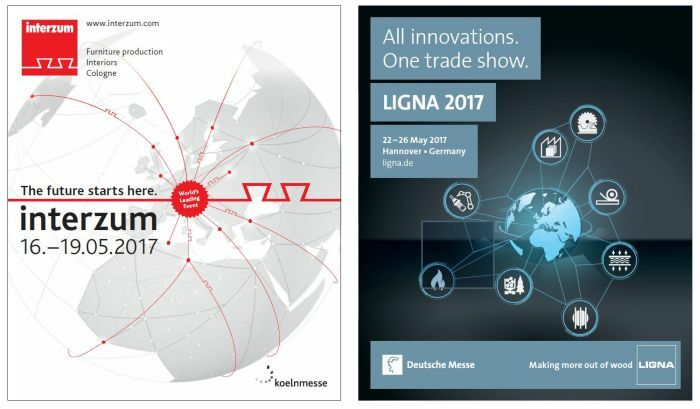 So, this year it will be possible to buy a ticket either for Interzum or for LIGNA and access to both fairs.